Kids love animated characters and the all-time great characters are Donald Duck, Mickey Mouse, Tom and Jerry etc. And the recent addition to this list are the minions. 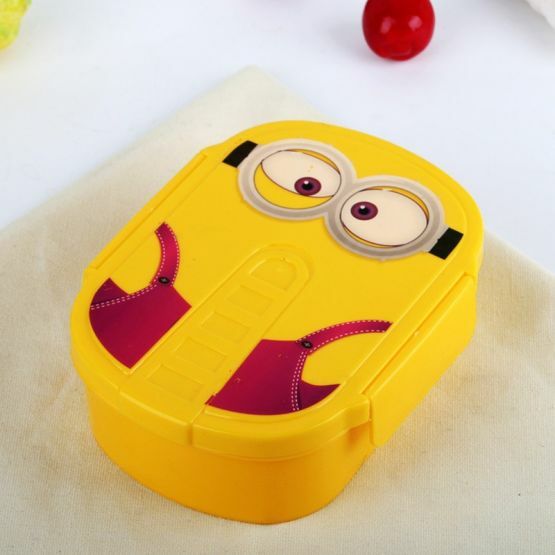 These minions are tiny yellow characters designed like pills and are featured in the Despicable Me movies. Since the release of the movie, the characters became a big hit as kids love these amusing characters as they are child-like characters and try to behave like adults landing in funny troubles. And when you pack food in lunch boxes that feature their favorite characters, your kids will become happy and that happiness will lead to your kids completely the entire food no matter what kind of food is packed. 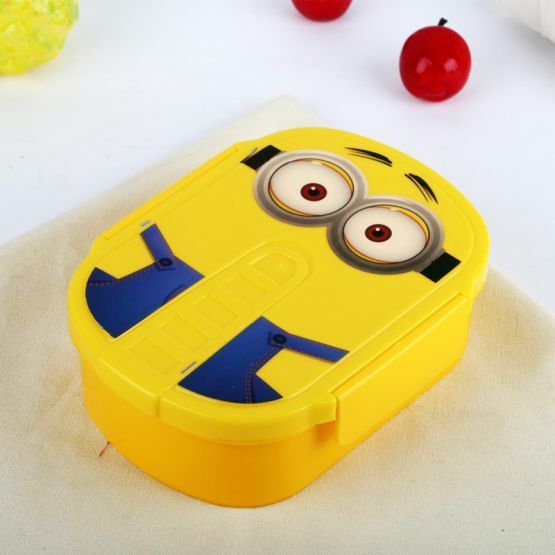 These character-based lunch boxes also allow your kid to boast of in front of their friends. And the lunch storage box comes in the shape of a yellow minion with its characteristic big eyes and jeans bottoms. The lunch box is a single-layered box but comes with 2 compartments to allow you to pack different kinds of snacks in each compartment. You can pack a sandwich in one and fruits and vegetables in the others. 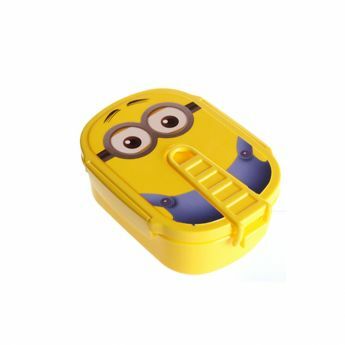 The stylish food storage box comes included with a spoon and fork and easy to lock and remove latches allows you kid to operate it easily. 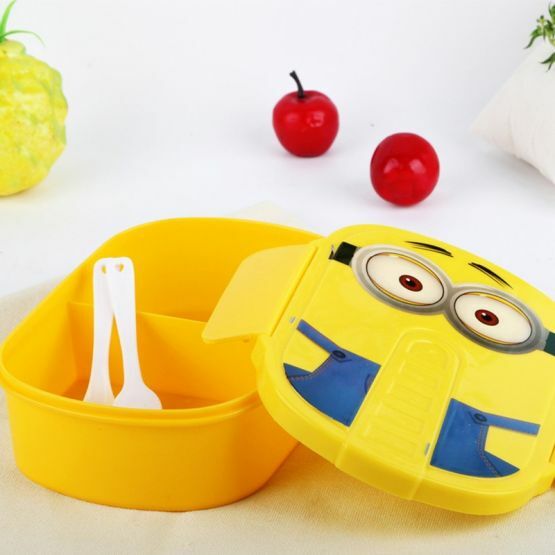 It is completely microwaveable and hence you can use it to warm your food directly in your microwave without needing to shift it to other containers. And since the classic lunch storage boxes, you never need to worry about keeping the lid open inside the microwave. 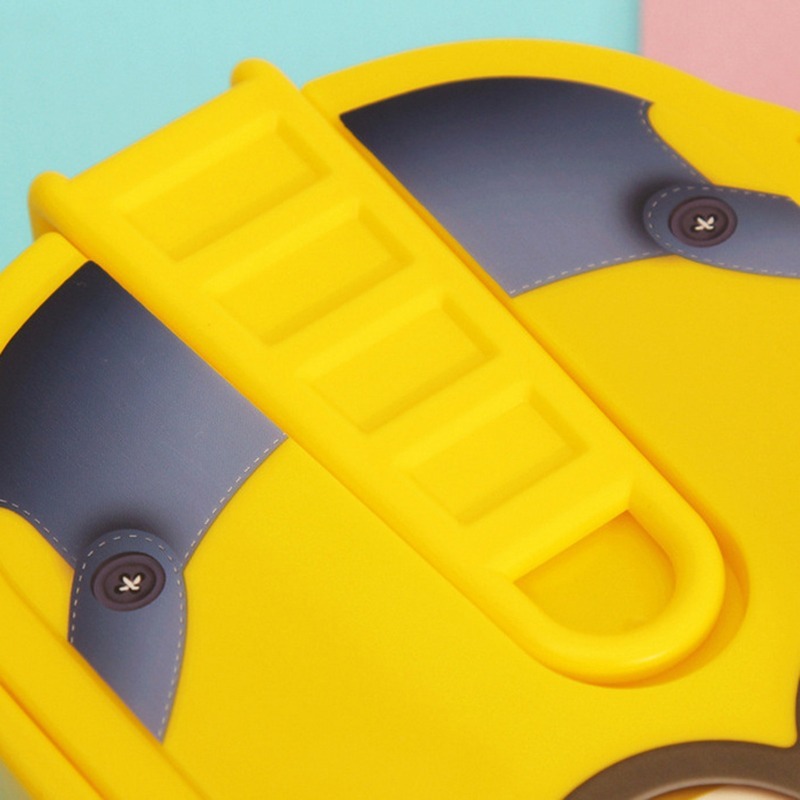 It is compact and lightweight as well allowing you to easily carry snacks for your kids wherever you go. 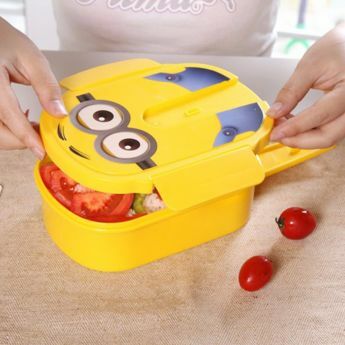 And when you have this design, you never need to worry about your kids’ not eating food. Note: There are two styles of purple and blue, we randomly send. Because different computer display resolution, there may be differences in color.